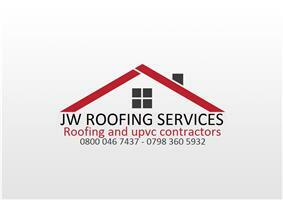 J.W Roofing Services UPVC - Fascia/Soffits/Guttering, Roofer, Windows/Doors/Conservatories based in Faygate, West Sussex. J.W Roofing services believe our success is based on customer satisfaction and we strive to provide our clients with the best roofing services and up to date products. We cater to all your needs whether that be new builds or period properties no matter the size, installing the right roofing system is certainly one of the most essential elements to consider. We work closely with you the client to provide you with the best solution and product for your project. We specialise in slating, tiling, felt roofing, upvc fascia soffit and gutters. We are a small company that concentrate on giving excellent workmanship at affordable rates. We carry out a variety of different types of work, from small repairs to large re-roofs, always using the best materials. We have been roofing for over 15 years, all our work is fully insured and comes with guarantee. Thanks for viewing our page and we look forward to hearing from you.